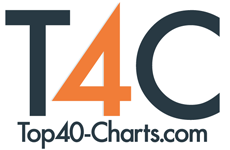 New York, NY (Top40 Charts) Spanish Broadcasting System, Inc. ("SBS") announced today that its heritage "CALIBASH" Concert Series once again delivered both attendance and profitability records for SBS through multiple performances at the Staples Center in Los Angeles and the T-Mobile Arena in Las Vegas. Due to popular demand, a second show was added in Los Angeles and for a third consecutive year, Las Vegas audiences were also able to enjoy performances by the outstanding artists of the "Reggaeton" music genre, as heard on KXOL-FM ("Mega 96.3"), the top-rated Spanish-language and Latinx station in the Los Angeles market. CALIBASH 2019 included one of the best rosters of industry talent in the event's twelve-year history. This year audiences witnessed captivating performances by Daddy Yankee, Ozuna, Wisin, Yandel, Nicky Jam, Anuel AA and others. SBS plans to leverage its strong multi-media assets and utilize this one-of-a-kind experiential content across other platforms including La Musica, its mobile entertainment offering, and MegaTV. "CALIBASH has established itself as the most-anticipated annual global Reggaeton event and Mega 96.3 is especially proud to produce and host the show for our dedicated listeners in Los Angeles," stated Alessandra Alarcón, Vice-President of SBS West Coast and CALIBASH Executive Producer. "This event is a critical component of our leading experiential platform and this year's event was a resounding success complete with fanatical sold-out audiences and breathtaking live performances. We're also thrilled to bring the unique experience of CALIBASH to La Musica users as well as viewers of MegaTV. We're very grateful to all the artists that participated in this, our 12th annual show, and I'm happy to announce that we're already hard at work on next year's star-studded event." CALIBASH 2019 was presented by Mega 96.3 FM, the LaMusica mobile app and over two dozen participating sponsors including Anheuser Busch, Toyota, Sprint, Ford, Absolut, Kia, Boost Mobile and Mazda, among others.